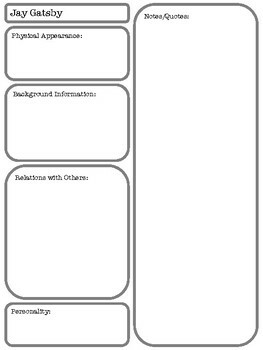 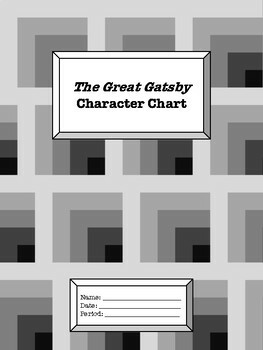 This chart provides places for note taking, physical description, personality, and others for characters from The Great Gatsby. 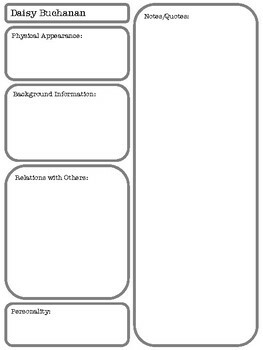 This can be printed as one character per page, or 2 characters per page. I recommend front and back (to save paper), but leaving the cover sheet blank on the back.